Find hotel near Banco Do Brasil Cultural ..
Having centres in Rio de Janeiro, Brasilia, São Paulo and Belo Horizonte, the Banco do Brasil Cultural Centre (CCBB) is a space dedicated to cultural events. 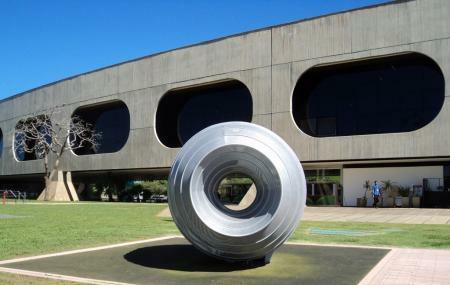 Opened on October 12, 2000 in Brasilia, the CCBB Brasilia is the third most visited cultural institution in Brazil and 38th most visited in the world. Check out their official website for upcoming events and exhibitions and plan your visit accordingly. Although entrance in free, ticket prices apply for individual events and exhibitions. How popular is Banco Do Brasil Cultural Centre? People normally club together Juscelino Kubitschek Bridge and Praca Dos Tres Poderes while planning their visit to Banco Do Brasil Cultural Centre.